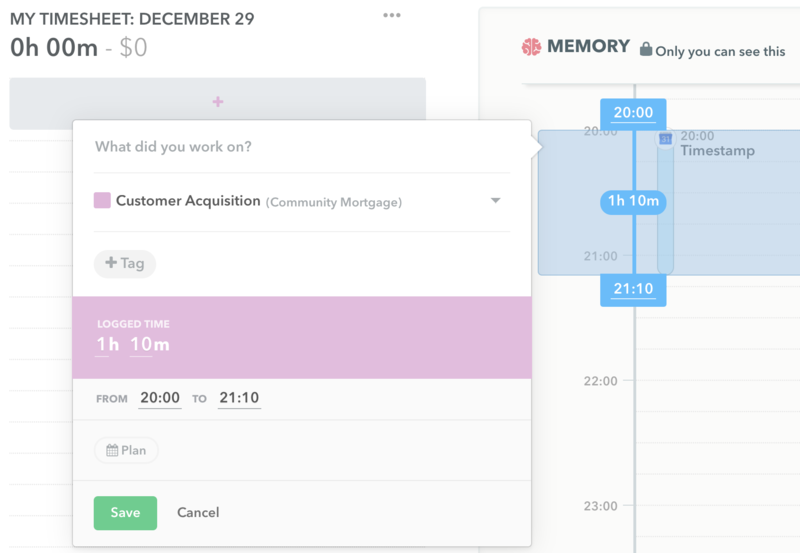 What are Timestamps in Timely? Are you tired of counting the difference between 11:00 and 20:00 on your fingers? So are we. Or maybe you count too fast, and miss an hour or two. Missing billable hours can add up to a lot of money over time! Thankfully, Timestamps completely solve these problems. The Timestamp field can be found by clicking the two-way arrow in a time entry. Just punch in your start and end times, and we'll do the math! When you create an entry directly from tracked events in your Memory Timeline, your Timestamp will be entered automatically. Timestamps can be edited at any time until the entry is marked as billed. Can I use the 12-hour clock for Timestamps in Timely?